There’s nothing that makes small children more uncomfortable than the darkness. It can be scary for a child to get up in the middle of the night to use the potty, or go to mommy’s room when they have a bad dream. Every child needs a nightlight, and these days there are many options to choose from. There are many designs now that are portable and can come right into bed with your child. When they feel scared, or need to get up, they simply turn the light on, and then the light will turn off automatically. There are also fantastic night lights for mom that make it easier to feed her child in the middle of the night. When looking for the right portable nightlight, be sure to find one that has LED technology so that it is always cool to your child’s touch. You also want to find a design or character that your child finds comforting, like their favorite animal. All in all, these lights aren’t too expensive, so be creative and find something that your child likes. 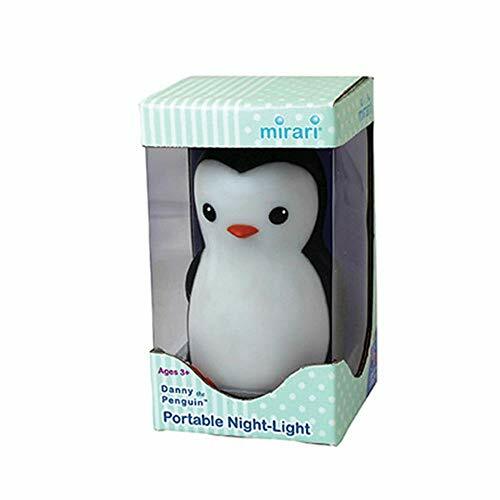 This handy nursing light from Mirari features a lightweight clip-on design that can easily be worn on clothing to make nighttime feedings as easy as possible. The soft glow is meant to help mom see better to ensure proper positioning and latch when the room is dark. This means that you won’t have to turn on a bright light that may disturb or wake anyone. The adjustable timer and optional vibration alarm give you added support and help to also track feedings by gently alerting you when it’s time to feed again. The nightlight is incredibly easy to use with its one-button operation, and the light is gentle enough to not wake up the baby. You can set the vibration alarm to a feeding time of 5, 10, 15, or 20 minutes, dependent upon what your child needs. Bluetooth compatible for custom sounds, songs or stories; micro SD card slot option as well. This is a really innovative and useful device for new mothers who are very tired during the night, but still need to keep track of feedings for their newborn. Provide your child with comfort in a rainbow of colors with this charming nightlight from Onaroo. Danny the Penguin brings a soft glow to any room, and young children can choose between 5 different beautiful colors, or even the soothing color-change mode. This fun, portable nightlight can even accompany your child under the covers at night or to the potty. The Penguin runs on AA batteries and is easy to take on the go. With a single, easy-to-press button, Danny becomes illuminated, and your child is instantly comforted. This is a fantastic alternative to a plug-in nightlight, because it can go with your child, and features a soft, cushiony exterior that is fun to hold. There’s no reason why your child should feel afraid in the dark anymore, because Danny is always there to show them the light. It’s easy for your young child to toggle this toy, and it’s built to last and easy to clean. 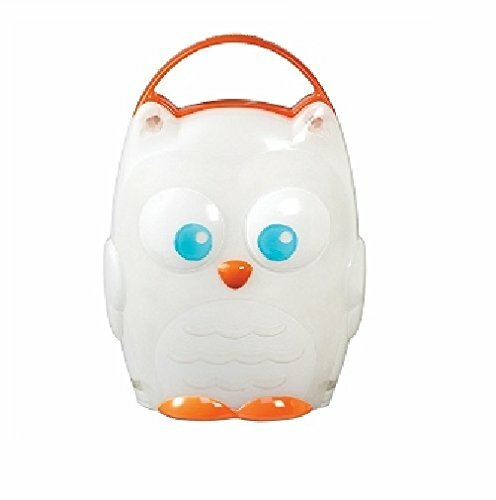 This charming, portable nightlight comes in the shape of a very friendly owl that helps to light the way for your young child. This fun character is designed with little hands in mind, with its easy-grasp handles for the ultimate in portability and one-button operation. Give your child a nightlight that they can take to the potty, or to mommy’s room when having a scary dream. The light is 100% battery operated with no messy cords or charging stations to deal with. This is the perfect nighttime solution for children 2 years and older. It’s also made of high quality plastic, and features a 20 minute timer that automatically shuts off to conserve batteries. The LED technology always remains cool to your child’s touch, and there are 2 AAA batteries that come included. 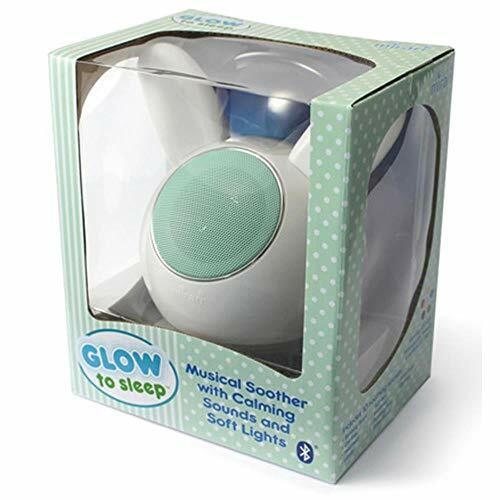 All in all, this is a fun and soothing toy that also just happens to be an exceptional nightlight. Give your child the comfort that they deserve, and let the Munchkin Owl light the way.